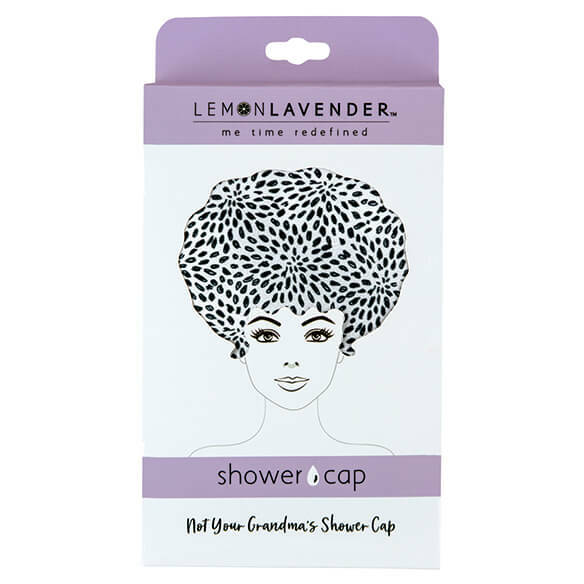 Premium-quality shower cap keeps your hairstyle dry and protected with a satin-feel exterior and water-resistant lining. Feminine design with ruffle trim stretches to fit. Includes matching drawstring carry pouch. I am enjoying this shower cap. It's really large enough to cover your hair. Great to purchase. Because of the thickness of my hair. It looks so pretty, and it is a very good quality shower cap. Size great, very durable and after 2 years like new. Right Price for the item and looks nice. I love the hair protection and the beauty of it. I don't always wash my hair every day when I get in the shower so I do need a shower cap. It's almost impossible to find a "bouffant" style shower cap these days. I don't have puffy hair-do, but I like the extra room in this style of cap when I don't want to get my hair wet in the shower. The price is more reasonable than I've seen elsewhere, and isn't quite so "overdone" as others. i have previously bought thid cap and was very pleased. It is larger than most. I'm hoping this is big enough. I like a larger shower cap, hope this fits the bill. I want to keep my hair dry when showering. It looks roomy and well-made. I like a larger shower cap. I need a shower cap. It accommodates my hair style when I have my hair done and keeps my hair dry and keeps my style intact. I like the size of the cap. This is my third time to order this item, because I have been very satisfied for several years. "To keep my new 'do' fresh"
I wanted a shower bonnet that would keep my hair dry. This one is pretty, comfortable,and keeps my hair dry. Wonderful product. my old shower cap lost it's elasticity. This one looks well mae. just liked the color and I needed a new one. 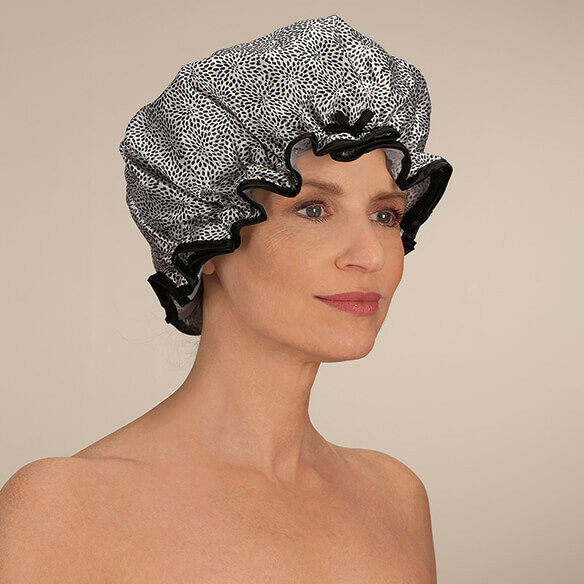 This is the only shower cap that I have found to be large enough to cover my hair, fit snugly enough not to shift while I shower, and have an attractive print. I only wish they had other colors to choose from, as well! It looks like a good size, not skimpy.